Indian head massage is an ancient therapeutic treatment that has been practiced in India for thousands of years, and is incredibly relaxing. Part of the Hindu health care practice of Ayurveda, Indian head massage focuses on your head, neck and shoulders. 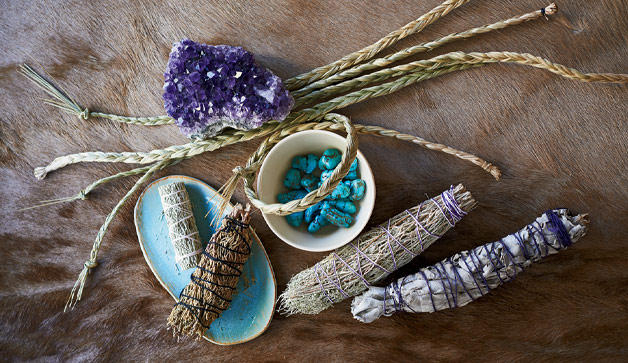 It is a deep massage, which uses a variety of pressure and techniques that tap into your seven "'chakras" or paths of energy and encourage healing and balance in your whole body. Rejuventating Facial includes deep cleansing, exfoliation, steam, shoulder neck and scalp massage , face mask, serum and moisturiser. Your skin will be glowing, clean and fresh after your treatment. 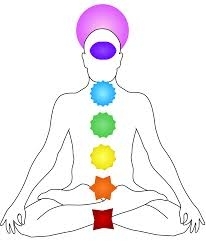 Crystal Chakra Balancing is a system of attaining and promoting wholeness of the mind, body and spirit. These sessions help you balance your energy centres especially if you have been unwell or have anxiety or depressio or just not feeling yourself. With White Light or Amethyst healing to balance your energy systems and transform your negative energies to the light. Energy is meant to flow within the body, moving continuously. Sometimes though, blockages develop and the energy cannot flow. The reasons for the blockages can be varied, but the result is nearly always the same – an accumulation of energy that cannot move. These sessions help to release stagnant energies and are regenerated with angelic reiki healing. The Rites of the Munay-Ki transform and upgrade your luminous energy field. They are energetic transmissions that heal the wounds of the past – your karmic & genetic inheritance. They re-inform your DNA, enabling you to grow a new body – one that ages, heals, and dies differently. The Munay-Ki is your invitation to dream an entire new world into being. Munay means Love Ki means energy so this is about Love energy. Sessions are 30 mins or longer if needed. A Mediumship reading with include some mediumship messages from your loved ones in the spirit world, may include a message from your Guardian Angel or Spirit Guides, plus some psychic messages about your life and a card reading. 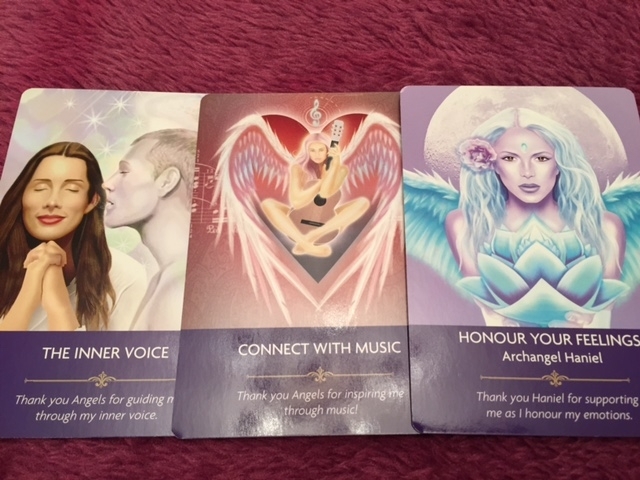 Angel Card Readings includes psychic and mediumship reading from a selection of cards to connect with the energies around you and your life with guidance from the angels. I have been giving readings since a child, I am offer readings with cards or mediumship, my usual style of reading is one of mediumship (linking with loved ones in the spirit world) with clairvoyance seeing your loved ones feeling their energies and bringing you evidence and guidance from the Spirit World. I can also bring guidance from your guides and angels working with you. I usually include a short card reading for guidance in your life. Readings take between 30-45 mins. This reading brings to you messages about the next 12 months. You can ask for a general reading to see what's ahead, or you may also direct your concerns toward something more specific, such as a job or a relationship. This is also a wonderful reading to have before the beginning of a new year . . . or for your birthday! Or a Gift for a friend, includes a Free Past, Present Future Reading. A Mediumship reading with include some mediumship messages from your loved ones in the spirit world, may include a message from your Guardian Angel or Spirit Guides, plus some psychic messages about your life and a card reading. This is for two readings, either two family or friends readings. You can wait for each other in my therapy space. Are you feeling the call from the Collective Conscientiousness, would you like to connect more with higher frequency Star Guides and members of the Council of Light? Weekend retreat with the sacred waters of Glastonbury and connect to the wisdom and teachings of Mary Magdalene, you will receive an activation with the Amethyst Flame, connect deeply to ancient wisdom, visit the Chalice Well, (White Spring optional extra), create your own aura spray, water ceremony and fire ceremony to balance the divine energies with intention setting for the New Moon. Limited Accommodation - small group or find your own accommodation. n a beautiful and compact, 100% organic cotton bag, with a 10-14 day supply, this kit is ideal for travelling and offers a ready to go skincare ritual, with results you’ll love. CLEANSE -Rehydrating Rose Facial Wash (25ml) – This gently foaming facial wash leaves skin beautifully soft and fresh. TONE -Rehydrating Rose Toner (25ml) – This delicately floral toner balances skin while improving the absorption of your moisturiser. This is the second part of the Soul's Journey Healing Ceremonies which includes Soul healing with Magdalene and a Soul meditation with a new beginning, birth meditation and water baptism, both Jesus and Mary Magdalene carried out water baptism and soul healing. The White Flame is a high vibration energy to align with for ascension, unity, wisdom, divine love and deep connection with the Goddess Isis, Sisterhood and Brotherhood who are part of The Council of Light. When you are initiated to this White Flame you are initiated to the highest energies of the Council of Light who wish to initiate higher vibrations on earth to bring us ascension, alchemy in forms of spiritual growth, wisdom, unity and love. You will receive the Initiation, Manual and Certificate. 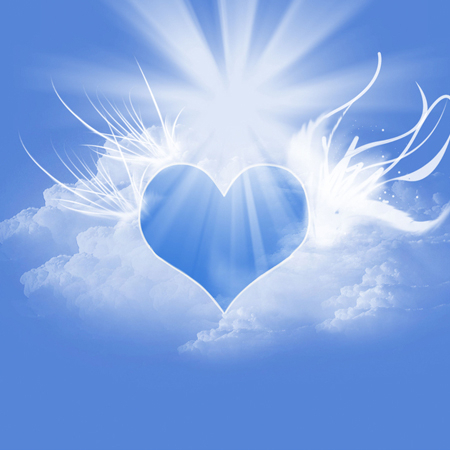 We now offer Heart of Mary Magdalene Reiki Attunements with optional attunements of Ankh, Rose and Heart. The attunement includes a meditation with Mary Magdalene, Manual and Certificate.